It is no surprise to us that County Kerry’s Skellig Ring in the south – western corner of Ireland has been named as one of the top ten places to visit by The Lonely Planet in their Best in Travel 2017 the bestselling collection of travel recommendations and experiences for the coming year. Skellig Ring is one of the highlights of our Wild Atlantic Way Tour which encompasses the Irish speaking Gaeltacht area around the town of Ballinskelligs, Valentia Island and the village of Waterville including of course the Skellig Islands themselves. There is no doubt that any soul who has visited the remote and wild beauty of this corner of Ireland never forgets the experience. 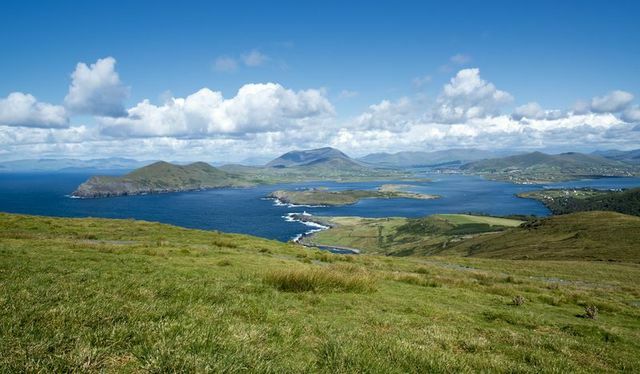 Less congested than the celebrated Ring of Kerry, the Skellig Ring combines dramatic scenery with the warmth of a genuine Irish welcome in the small towns and villages that dot its coastline. It is also a destination rich in history. The UNESCO World Heritage Site of Skellig Michael was once inhabited by a small settlement of hermetic monks. Its steep and angular geography still has the ability to visually stun the visitor. 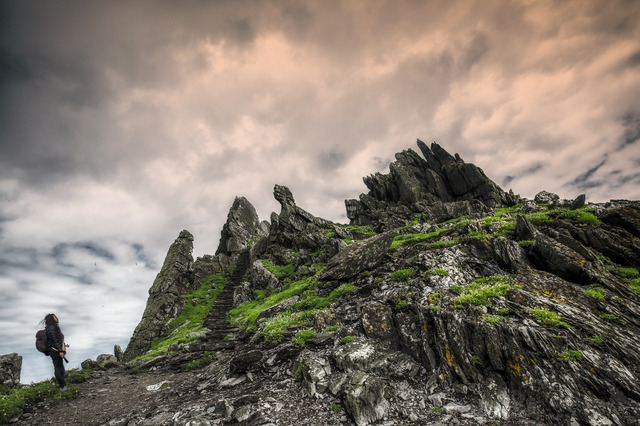 Adding to the aura of the island was its use as a location for the Star Wars movies, The Force Awakens and next year’s Episode VIII. As part of our Wild Atlantic Way Tour you have the opportunity to take a boat to Skellig Michael if weather conditions permit between May and October. Most boats depart from Portmagee, but you can also sail from Ballinskelligs, Caherdaniel, and Valentia. The trips are dependent on sea conditions, but even if they do go ahead, the crossings can be rough. It is all worth it though once you step foot on the staggeringly dramatic Skellig Michael. 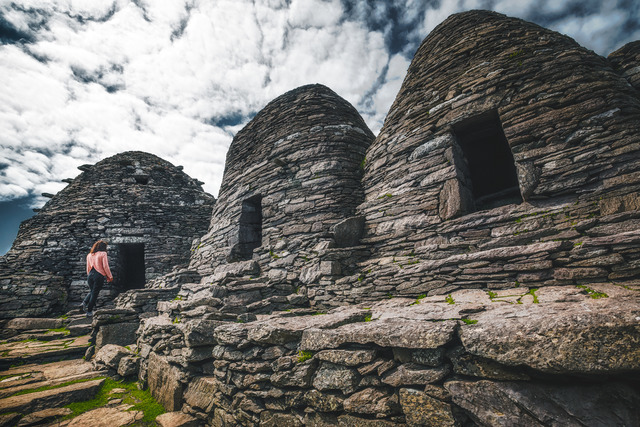 Here you can choose to be transported into the future of Star Wars, or back into the past to ponder how the Early Christian monks survived the wind buffeting conditions as you climb the 618 steps to reach the small cluster of beehive monastic dwellings. Reputedly founded by Saint Fionán in the sixth century, Skellig Michael was also mentioned in the annals of the ninth and tenth centuries, and it was dedicated to St. Michael the Archangel some time before 1044. It is most likely that this dedication was celebrated by the building of St. Michael’s Church in the monastery. It appears that the island was inhabited by monks until the thirteenth century when climatic changes in Europe led to colder stormier weather forcing the monks to move to Ballinskelligs on the mainland. 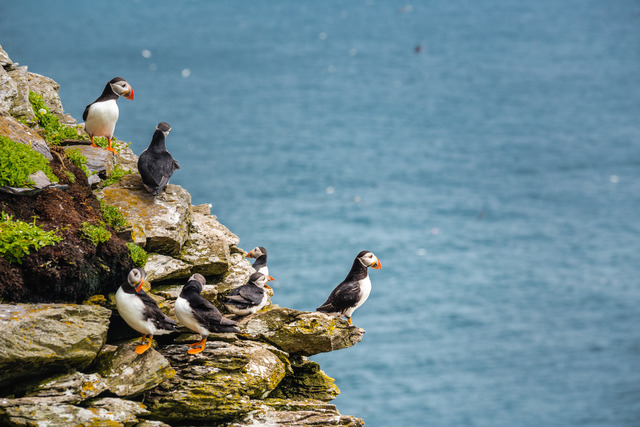 Apart from the primitive beauty of the beehive monastic settlements, the visitor to Skellig Michael will also encounter other beauties from nature such as the endearing Puffin. 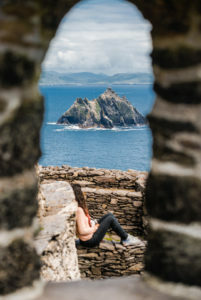 Dare to sit on the edge of Skellig Michael and take a look at the uninhabited Little Skellig with its population of seabirds swooping in the blustery sky. Be aware that there are no toilets or shelter on the rock on your day trip to the Skelligs, so bring sunscreen, layers, waterproofs and food. (Be warned that sniping gulls might try to steal your sandwiches!) Also we suggest bringing a backpack as the steps are uneven and it’s a good idea to have your hands free to help you balance. Skellig Michael is a wilderness site so if you are worried the climb would be too much of a challenge, or you have a medical condition, it might be a better option to either take a boat trip when you can stay on board and view the islands from the sea, or remain on the mainland and explore the Skellig Ring. There is ample to see and explore in this magical region of the west of Ireland. A visit to The Skellig Experience on Valentia Island provides an insight into the history, wildlife, lighthouses and birds of the Skelligs, whether you make the trip to the islands themselves or not. The Skellig Ring is a 20-mile detour from the Ring of Kerry, bringing you off the beaten path, up mountains, through tiny villages, always with the wild Atlantic Ocean crashing to your side. Since only cars are allowed on these small country roads you can avoid all the tour buses that follow the Ring of Kerry. Why not stop off in Ballinskelligs and visit its beautiful beach, or the 12th century Abbey? 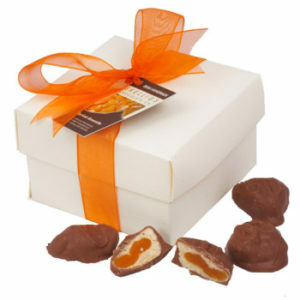 On your way to Portmagee, and its harbour with its colourful boats and houses, you will encounter St. Finian’s Bay, and The Glen, where you can visit the Skelligs Chocolate Factory for some delicious artisanal handmade Irish chocolates. Visit The Moorings pub in Portmagee to pull your own pint of Guinness just like Luke Skywalker (AKA Mark Hamill). 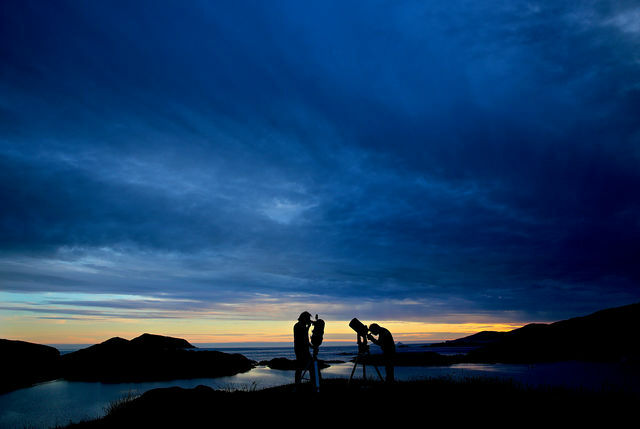 This is one part of the world where it is worth staying up late since Southwest Kerry has been named one of only three gold tier International Dark Sky Reserves on earth, recognising it as one of the best places in the world to stargaze and observe the Milky Way. Whether you make it to Skellig Michael, or you are viewing the rugged contours of the Skellig islands from the Skellig Ring, it is impossible not to agree with the Lonely Planet and their claim that ‘The Skellig Ring should be on every traveller’s must-see list.’ For you can feel the essence of Ireland’s Wild Atlantic Way in the roar of the sea, the taste of the salty wind, and the pulse of Ireland’s wildest edge beneath your feet. Let us help you create your own unique and memorable trip to the Skellig Ring looking at your preferences and needs. We can arrange everything from a driver guide, to your boat crossing to the Skellig islands.